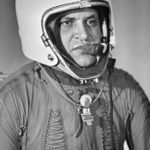 1 May 1960: An American U-2 spy plane being flown by CIA pilot Captain Francis Gary Powers is shot down by a Soviet surface-to-air missile. It crashes near the Ural Mountains. 5 May 1960: A statement released by NASA indicates that a weather research plane has gone missing; the USSR admits shooting down a plane over its territory. 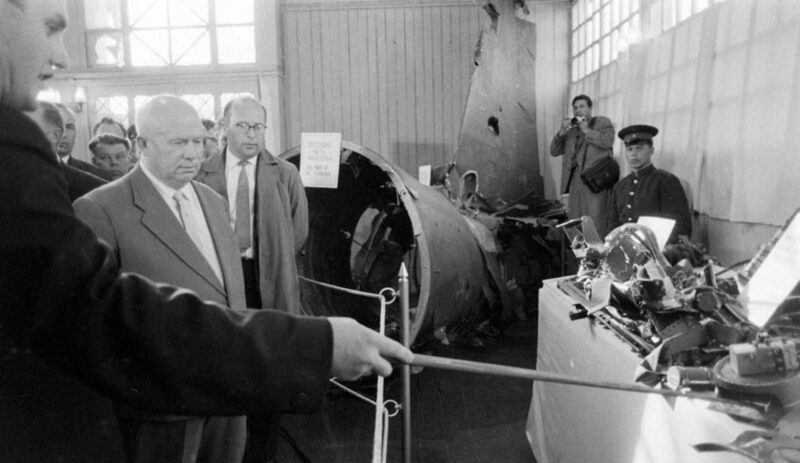 7 May 1960: After the US authorities continue the cover story, Khrushchev reveals OR that the pilot has wm been captured y and the wreckage recovered. 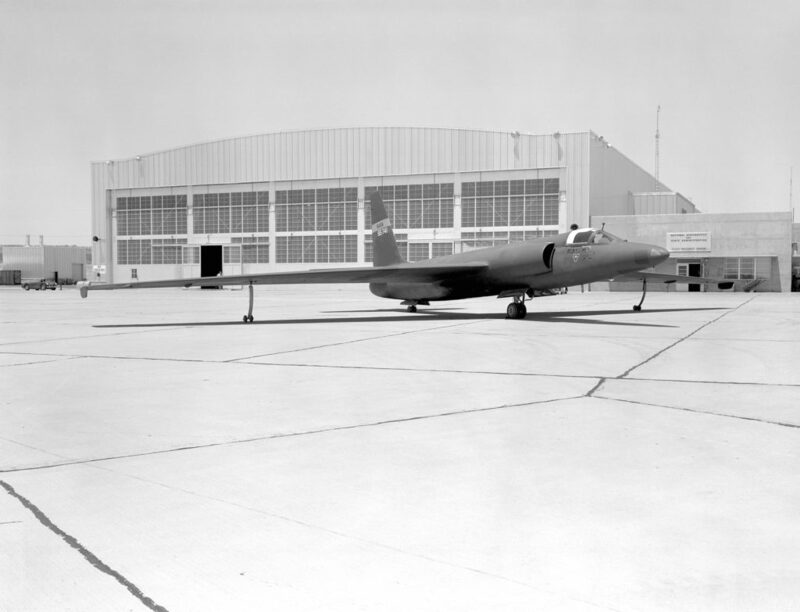 11 May 1960: American President Eisenhower admits that spy planes have flown over the USSR but refuses to issue an apology, insisting that they are defensive flights. Khrushchev walks out of the Paris summit after just one day, blaming US provocation and ending any hopes of reconciliation between the nations. 10 February 19262: Captain Powers is released in Berlin in a prisoner exchange. A captured Soviet spy, Rudolf Abel, is released in return by the USA. On 1 May 1960, Soviet air defences spotted an unidentified aircraft in their airspace at extreme altitude – 70,000 feet up. The intruder was shot down near the Ural Mountains. NASA claimed it was a weather research plane, suggesting that a problem with the oxygen equipment rendered the pilot unconscious over Turkey with the autopilot engaged, but the aircraft was actually an American U-2 spy plane tasked with taking reconnaissance photographs of military targets. 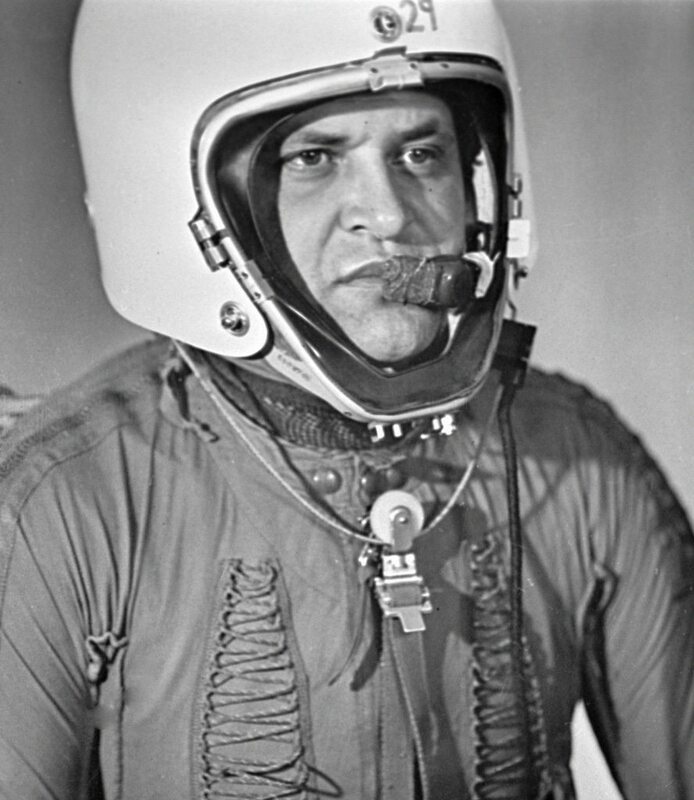 However, the USA was unaware that the pilot, Gary Powers, had been captured and that the plane was largely intact. When the Soviets announced they had interrogated Powers and released photographs of the plane, the cover story was blown. 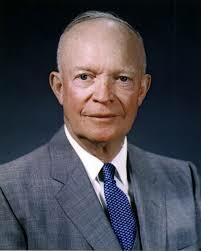 On 11 May, President Eisenhower admitted that there was a programme of spy flights over the USSR carried out under orders from the White House. The diplomatic fallout from the U-2 Incident soured relations between the USA and USSR, bringing to an end a period of peaceful coexistence and ending any hopes that the Cold War might be brought to a close through dialogue. 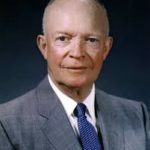 The crisis erupted just before a summit in Paris during which both sides were due to discuss disarmament, but Eisenhower refused to apologise, insisting that the flights were necessary and pushing for an “open skies” agreement. 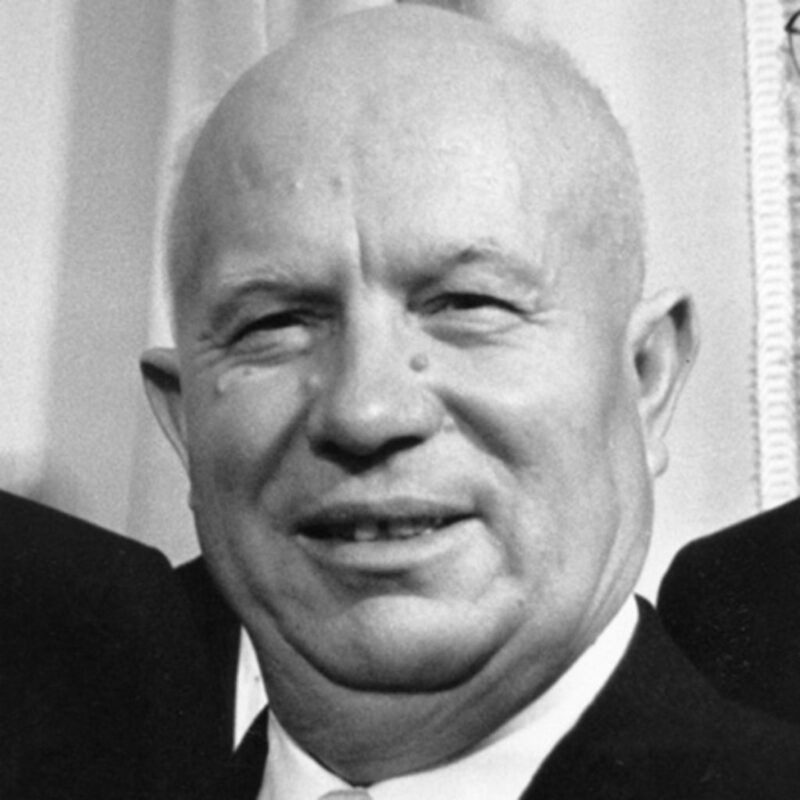 In response, Soviet premier Nikita Khrushchev walked out of the summit after only one day and withdrew an invitation to Eisenhower to visit the USSR. Tensions increased, with both sides acting more aggressively. Over the next two years, the USSR authorised the building of the Berlin Wall and the placement of missiles on Cuba, while the USA attempted a failed invasion of Cuba at the Bay of Pigs. The Cold War had become a lot more dangerous. 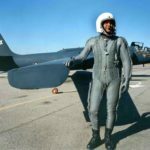 Recruited by the CIA, the U-2 pilot was released by the Soviets after two years in a prisoner exchange. The US president personally approved U-2 spy flights over the USSR and was party to the cover story. The Soviet leader had to appease hardliners in his regime and abandon attempts to reach out to the US. A moment was all it took for joy to be supplanted by horror. Less than an hour after Edward Whymper had laughed in jubilation from the summit of the Matterhorn on July 14,1865 – having completed the first successful ascent of the Alpine peak on the Swiss-Italian border – his triumph was shattered by tragedy. Among his group was an inexperienced young climber who slipped on a treacherous section of descent, dragging off the mountain three others who were roped to him. On hearing the cries of the falling men, Whymper and his two local guides had just an instant to brace themselves before the force of the accident broke the rope tying them to the falling climbers. „For a few seconds,” Whymper recalled, „we saw our unfortunate companions sliding downwards on their backs, and spreading out their hands, endeavouring to save themselves. They passed from our sight uninjured, disappeared one by one, and fell from precipice to precipice.” The four hapless climbers plummeted 1,200 metres, their bodies dashed to pieces on the glacier below. The Matterhorn accident was one of the deadliest mountaineering catastrophes of the 19th century, sparking a wide debate about mountaineering, masculinity and empire. Whymper was the unlikely leader of a climbing team that had been formed only days earlier. This engraver from south London had laid siege to the Matterhorn since 1861, climbing on its southern (Italian) ridges by himself or with guides. On the eve of his 1865 attempt, however, the bravest of these guides, Jean-Antoine Carrel, transferred his services to a group of climbers from Turin who hoped to plant the flag of the recently unified Italy on the summit. Whymper felt betrayed. By chance, though, he met Lord Francis Douglas, the amiable, 18-year-old younger brother of the Marquess of Queensberry. 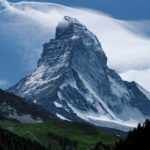 Douglas’s Swiss guide, Peter Taugwalder, had inspected the northern side of the Matterhorn and believed that it could be climbed from the Swiss village of Zermatt. The new companions crossed into Switzerland. There, they met the Reverend Charles Hudson, a muscular English clergyman. He was travelling with Douglas Hadow, an 18-year-old climbing novice, and Michel Croz, a well-known French guide who had previously climbed with Whymper. One of Taugwalder’s sons also joined the team. Since the mid-1850s, many an Alpine summit had felt the scrape of British hobnailed boots attempting first ascents, but the 4,478-metre (14,692ft) Matterhorn remained unconquered. As Whymper’s team ascended the north­eastern ridge, they knew the Italians were already climbing on the other side of the mountain. The race to be first was on. Unexpectedly, the team discovered that the Swiss slopes formed a natural staircase up which Whymper clambered with mounting excitement. Beneath the highest pinnacle, Whymper unroped himself and raced to the top. Had they beaten the Italians? From the moment the rope broke, it was impossible to save those below. Whymper examined the rope and found it to be the weakest cord they had brought, not intended to be used for protection while climbing. Whymper and the two Taugwalders made the sorrowful descent to Zermatt, from where rescuers left to search for survivors. They found bloodstains, fragments of clothes and shattered human remains. Croz, Hadow and Hudson were identified from shreds of clothing and tufts of beard. Scraps of Lord Francis Douglas’s clothing were found, but there was no sign of his body – except, perhaps, for the birds of prey circling the cliffs above the debris field. Visitors to Zermatt’s Alpine Museum can today see relics including the frayed end of the rope. Charles Dickens lambasted the climbers as foolhardy braggarts. Mountaineers were not heroic, he said, nor to be compared to those who braved cholera, visited typhus patients or fought in the Crimean War. „We shall be told that ‘mountaineering’ is a manly exercise,” he wrote. „It is so, inasmuch as it is not womanly. But it is not noble manly when it is selfish.” Mountaineering, according to Dickens, was no more manly than gambling and indicated „contempt for and waste of human life – a gift too holy to be played with like a toy, under false pretences, by bragging vanity”. But novelist Anthony Trollope compared mountaineers to soldiers, sportsmen and explorers. Death on a mountain was the same as death in battle or on an African expedition. He saw all these as blood shed for the honour of the country. He hoped that the „accident on the Matterhorn may not repress the adventurous spirit of a single English mountain-climber”, and looked forward to hearing of new ascents in Asia or South America. Comparisons to imperial exploration shifted opinion about the Matterhorn accident in favour of the climbers. The Illustrated London News likened the victims to English explorers who had died in the Australian outback. Climbing mountains trained Englishmen to follow the call of duty, its editors argued, and contributed to military prowess, commercial prosperity, and scientific knowledge. Whymper made similar points in Scrambles Amongst the Alps (1871), a lavishly illustrated account of his climbs during the 1860s that remains a touchstone of mountaineering literature. He closed his account of that fateful climb by tallying the benefits of mountaineering beyond enjoying physical fitness and the beautiful scenery: „We value more highly the development of manliness, and the evolution, under combat with difficulties, of those noble qualities of human nature – courage, patience, endurance, and fortitude.” In 1867, Whymper set out to explore the interior of Greenland, but later plans to climb in the Himalayas were stymied by political conditions. Instead, he travelled to Ecuador with Jean-Antoine Carrel, his erstwhile Matterhorn partner and rival. During 1879 and 1880, they collected scientific specimens, researched altitude sickness, and climbed Chimborazo (6,268 metres), among other peaks. „The real effect of the accident itself,” the Saturday Review wrote in 1865, „has been to stimulate enterprise and to crowd Zermatt to overflowing.” Crowds have only grown over the 150 years since then: Zermatt has become one of the most popular Alpine resorts. A new and enlarged base-camp lodge, the Hornlihutte, has been set up near the spot where Whymper and his party slept before that first ascent in 1865. On July 14, the peak remains closed to all climbers in remembrance, and to honour the people-more than 500 of them – who have died on the Matterhorn since that tragic day in 1865. The insistence of Dr Joseph Hamel, a Russian naturalist, on climbing Mont Blanc after a heavy snowfall – against his guides’ advice – proved disastrous. On August 20, an avalanche killed three of his Chamonix guides, a tragedy sometimes cited as the first notorious Alpine mountaineering accident. The deaths led in 1821 to the creation of the Company of Guides of Chamonix to regulate pay, provide compensation for families, and ensure guides have authority to make decisions during ascents. The victims became entombed in the slow-moving Bossons Glacier; their remains only emerged from the ice during the 1860s. English mountaineers George Mallory and Andrew Irvine were last seen alive on June 8, 1924, sighted through a break in the clouds as they ascended towards the summit of Everest. Their disappearance so close to the top formed the dramatic climax to the expedition film The Epic of Everest, and sparked years of speculation: had they completed the first ascent before their deaths? In 1999, Mallory’s frozen body was discovered, presumably at the spot where he fell and died. There was no sign of Irvine, and no proof that they had reached the summit before the fatal accident. On April 18, 2014, a large block of ice collapsed onto the Khumbu Icefall, the most hazardous section of the most popular route up Everest, killing 16 Nepali expedition workers, most of them ethnic Sherpas. Thirteen bodies were recovered, but three remain trapped in the ice. The high death toll led to protests by local workers at Everest Base Camp, demanding better regulation, compensation for families and the cancellation of further climbs that year as a mark of respect for the victims. This earthquake, magnitude 7.2, was a rare event for anywhere in California. It was caused by subduction on the part of the Gorda Tectonic Plate. On June 15, 2005, a 7.2 magnitude earthquake struck the center of the Gorda Tectonic Plate about ninety miles offshore from the northern coast of California. This plate lies relatively close to the coast and can be considered a southward extension of the large Jan de Fuca Plate. Both of these plates are subducting beneath the North American Plate. The Gorda is a very active one. It produces earthquakes of magnitude 7 about every twenty years, a rare level of activity for any place in California. This particular earthquake was felt widely in Oregon, Washington, and California, and it had a significant impact as far north as Seattle and southwards to the Mexican border. This earthquake occurred in a deformed section of the southernmost part of the Gorda Plate. Light shaking from it was widely felt along the northern Californian coastline all the way to the Oregon boundary. Preliminary analysis of the quake indicated that it resulted from slip on a left-lateral, strike-slip fault. This type of fault has been documented for other earthquakes with epicenters in the interior of the Gorda Plate. There was no tsunami. Earthquakes with strike-slip mechanisms are less likely to produce tsunamis because they cause relatively little vertical ground movement. While this earthquake was very strong and exceptional, it must be noted that in general, lesser quakes are very common in the Gorda Plate because it is subjected to north-south compression as the Pacific Plate moves toward the Northwest and collides with the southern boundary of the Gorda Plate. 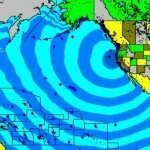 A tsunami warning was automatically triggered from the West Coast Tsunami Warning System for the entire U.S. West Coast because of the strength of the quake. It was withdrawn soon afterward. Crescent City, a place that historically always suffered greatly from tsunamis on the northern Californian coast, sounded its warning sirens shortly after 8 P.M. and thousands of residents and visitors were evacuated. In many other areas, communication problems prevented the tsunami warning from reaching the public until after it had been canceled. The tsunami warning had been based on the earthquake’s large magnitude, initially calculated at a higher figure than the one that was finally determined. Information that takes longer to gather is used to determine whether a tsunami warning should be expanded, continued, or canceled. Most important is direct measurement of water levels by NOAA’s ocean bottom sensors and shoreline tide gauges that relay data by satellite to the tsunami-warning centers. Well after the predicted arrival times no tsunami had been clearly detected at the three tide gauges nearest the epicenter and even in Crescent City the additional height of the tidal gauges was only four inches. After careful consideration of all available information, the National Weather Service canceled the tsunami warning at 9 P.M. Analysis of earthquake data helped seismologists explain why only a tiny tsunami had been generated: the earthquake occurred on a strike-slip fault, now believed to be a left-lateral fault within the Gorda Plate, a fault ridden piece of oceanic crust being compressed and deformed by the northward- moving Pacific Plate. Earthquakes on strike-slip faults produce much less vertical movement of the sea floor than do earthquakes on thrust faults. While experts knew that there was little likelihood of a tsunami in this instance, their minds were still very much occupied by the tsunamis of December 2004 in Indonesia and they were not going to take any risks. NOAA uses two types of water-level sensors to detect tsunamis: shoreline tide stations and offshore ocean-bottom sensors. NOAA operates a number of tide stations on Pacific coastlines and six buoys in the Pacific Ocean. The memory of the devastating Indonesian tsunami of 2004 is still strong and it has inspired a joint project involving USGS and NOAA to install additional buoys not only along the northern Californian coast but also in selected Atlantic and Caribbean sites. The June 15, 2005, earthquake occurred twenty miles west of another 7.2 quake, the one that hit off the coast of Humboldt Bay on November of 1980. Between 1980 and 2005, in the same general area, there were ten others that measured between 6 and 7 in magnitude and one, that of Cape Mendocino in 1992, that was of magnitude 7.2. One has to go back a very long distance in time to find three Californian earthquakes of this magnitude occurring in the same general area in and east of the Gorda Plate. The November 1980 quake, the largest in the previous twenty-five years, injured six people and caused property damage estimated at $2 million. Most of the damage occurred east of Fields Landing, where two sections of an overpass on U.S. Highway 101 collapsed onto the railroad tracks below. At Fields Landing, two houses were displaced from their foundations, one non-reinforced chimney fell, and gas, water and sewer lines were broken. This shock and most of its aftershocks occurred on a large, left-lateral, strike-slip fault that extends northeastward from Cape Mendocino. The earthquake was felt over a large area, including parts of Oregon, western Nevada, and northern California. Many aftershocks occurred. The Cape Mendocino 7.2 earthquake of April 1992 was located on land near Petrolia at a depth of seven miles below ground. This location is very near the inferred position of the Cascadia subduction zone boundary between the Gorda Plate and the North American Plate; that is, the epicenter is very close to the point where the subducting plate begins to move down into the asthenosphere. It is thus the first major historic earthquake on the subduction zone. Motion was along a north-south oriented fault plane dipping gently down to the east. The North American Plate was thrust up and over the Gorda Plate. It produced measurable coastal uplift in the vicinity of Cape Mendocino on the order of 4–5 feet and a tsunami which was recorded at tide gauges from Port Orford, Oregon, to Port San Luis near San Luis Obispo. Maximum recorded wave heights were just under 2 feet in Crescent City. The main shock was followed by two magnitude 6.6 aftershocks, both intraplate Gorda earthquakes located about fifteen miles off shore. The main shock together with the large aftershocks caused $60 million worth of damage and led to a federal disaster declaration. Hurricane Katrina was both the deadliest and the costliest hurricane in U.S. history. Hurricane Katrina was the costliest and one of the deadliest hurricanes in the history of the United States. It was the sixth strongest Atlantic hurricane ever recorded and the third strongest land-falling U.S. hurricane ever recorded. Katrina occurred late in August during the 2005 Atlantic hurricane season and devastated much of the north-central Gulf Coast of the United States. Most notable in media coverage were catastrophic effects in the city of New Orleans, Louisiana. Katrina’s sheer size devastated a one hundred-mile stretch of the Gulf Coast. The storm surge that swept over New Orleans was as high as twenty-seven feet but that was not the main cause of the damage. The levees were fundamentally flawed. They had not been given proper foundations. The soil beneath them was washed away opening the city to the water of Lake Pontchartrain, a source of water beyond anything that the storm surges could produce. The city was drowned. Katrina was the eleventh named storm, fifth hurricane, third major hurricane, and second category 5 hurricane of the 2005 Atlantic season. It formed over the Bahamas on August 23, 2005, and crossed southern Florida as a moderate category 1 hurricane before strengthening rapidly in the Gulf of Mexico and becoming one of the strongest hurricanes ever recorded in the Gulf. The storm weakened considerably before making its landfall near New Orleans as a category 3 storm on the morning of August 29. The storm surge caused major or catastrophic damage all along the coastlines of Alabama, Mississippi, and Louisiana, including the cities of Mobile, Biloxi, Gulfport, and Slidell. Levees separating Lake Pontchartrain from New Orleans were undermined by the surge, ultimately flooding roughly 80 percent of the city and many areas of neighboring parishes. This hurricane formed in the third week of August 2005 off the coast of the Bahamas. Over the following seven days it grew from a tropical storm into a catastrophic hurricane. It first made landfall in Florida and then hit along the Gulf Coast in Mississippi, Louisiana, and Alabama, leaving a trail of devastation and human suffering. This hurricane caused physical destruction everywhere along its path. It flooded the historic city of New Orleans, ultimately killing over 1,300 people and it became the most destructive natural disaster in U.S. history. Katrina’s winds and the storm surge that reached as high as twenty-seven feet was an extremely severe blow to New Orleans. It overwhelmed levees all around the city of New Orleans and the consequences for a city of this size, which was already standing, for the most part, below sea level, were pretty dire. Of course the states of Florida, Alabama, Mississippi, and Louisiana all got hit by Katrina, but New Orleans became the focus for more than one reason. To begin with, it was the biggest city in the area, with a population of about a half million people, and after the first levees began to collapse the entire city was really stuck in the middle of an ocean because the water had reached a level where only boats could give access from one part of the city to another. And, of course, power and telephone communications began to collapse in the process of all this. All this flooding and the destruction of the levees by the twenty-seven-foot high storm surge completely overwhelmed the levees, which were never designed to handle that level of water. So the flooding really destroyed New Orleans, much as the fire that burned Chicago in 1871 destroyed that city and the earthquake and fire that finished off San Francisco in 1906, destroying the economic and cultural centers of that entire region. It was a similar story in Galveston in the famous hurricane of 1900. And even beyond New Orleans, the span of destruction cast by Katrina was widespread all over the coastal areas. Towns and cities, small and large, were destroyed or heavily damaged by the hurricane, but the focus remained on New Orleans. It was here that the greatest damage had occurred and it was here that the greatest challenge was presented to all levels of government as to how to secure rescue of the many stranded people. When we compare the reaction of the authorities in New Orleans to the approaching storm with the experiences of the people in Florida we find a sharp contrast. In Florida, because they are so accustomed to serious hurricanes, there is a highly developed system of preparation and a coordinated set of organizations that ensure predictable and safe action well ahead of the storm’s arrival. 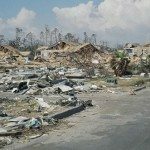 New Orleans rarely has had a serious hurricane, yet it is far more vulnerable than any other place in all of the United States so one would expect that given a repeated series of warnings, all of them predictable as it turned out, there should have been much greater action in preparation than there actually was. As early as the beginning of May, the director of the National Oceanic and Atmospheric Administration, that is the overall organization that predicts and follows the movement of hurricanes, gave a warning for the upcoming season that it was, in all likelihood, going to be much more violent than in previous years. The director’s estimate was that storms for the year 2005 would have a 70 percent higher chance of an exceptional season and after the first two months of the season had passed all events confirmed that earlier prediction. On Tuesday, August 23, almost a week before Katrina actually hit New Orleans, the National Weather Service identified a tropical depression in the area of the Bahamas and it looked as if it would develop into a serious hurricane. Military authorities and all other agencies responsible began to issue warning alerts and began to follow the path of this storm every moment of every day. Within a day this tropical storm off the Bahamas had been identified, given the name Katrina, and on the following day it had strengthened to a tropical storm. A day later, on August 25, Katrina was a category 1 hurricane. It made landfall in south Florida later that day and winds were up to eighty mph at that time. The volume of rain and destruction was quite severe. Fourteen to fifteen inches of rain were dropped in some parts and the overall death toll during its one-day passage over Florida was more than a dozen. Over a million people lost power and flooding was found in a number of areas. The total damage to Florida amounted to about $2 billion. As the storm passed into the Gulf of Mexico and traveled northwards, federal authorities arranged for emergency quantities of food and water to be shipped to all of the states along the Gulf, including Georgia, Alabama, Louisiana, Texas, and South Carolina as well. The recognition was made at that stage that, on the evening of August 25, a very serious hurricane was moving towards the coastal area of the northern part of the Gulf of Mexico. On the afternoon of August 26, a forecast was issued by the National Hurricane Center regarding Katrina. This forecast pointed out that Katrina would make its next landfall as a category 4, or even 5, the highest possible, somewhere along the Gulf Coast, just east of New Orleans. As the hurricane moved it seemed more and more certain, to a degree that the National Health Service had not experienced before, that the path it projected was being followed precisely as anticipated. On top of the direction of landfall and location of landfall, the prediction was that flooding to the level of as much as twenty feet above normal tide levels could be anticipated. This one factor alone should have been sufficient to terrify every person in New Orleans, had it been observed with greater care, because it is well known that a flood tide of twenty feet was beyond what the levees could withstand. This was now well into August 26, three days before the landfall that would cause all the trouble at New Orleans. But at that point, apart from issuing a state of emergency, the governor of Louisiana had not taken any additional direct action and the mayor of New Orleans, who was responsible for the evacuation of half a million people, took no action either on that day, nor indeed on the following day, August 27. It was late on August 27, after the governor of Louisiana was aware of the indifference on the part of large numbers of people, that she decided to enact what is called the counter flow traffic arrangements. That is a system whereby all incoming traffic to New Orleans is cut off and only exit from New Orleans is permitted. That action made a beginning late on August 27. Action had still to be taken by the mayor to get people moving and get them out of the city, especially those who had no transportation of their own and required buses to be made available for them. By this time, because the storm was moving northwards from the Gulf of Mexico and because there was no outlet for the heightened waves that were created ahead of the storm, the water level at Louisiana and at New Orleans was already rising far above the highest tide level. In fact, this rise in the water level began to leak through one of the levees, not overtopping it, but simply creating a leak by the pressure from outside and so a beginning was made to the destruction of the levees long before the height of the water caused it. So serious did the danger of the hurricane appear to the director of the National Hurricane Center, that he did what he had never previously done in his life—he personally called the mayor of New Orleans, warning him of the extreme danger from the hurricane and urging him to do everything possible. Despite that further warning and another call from the headquarters of the Hurricane Center, the mayor of New Orleans did not begin a mandatory evacuation until the following morning, Sunday, August 28. In fact, it was too late for many of the people who had no cars and no friends who could accommodate them in their cars. From that time; the disaster that happened when the stadium that so many of these stranded people used as a refuge was damaged to the point where it ceased to provide protection. Like Chicago in its early battles with flooding, New Orleans’ principal concerns center on water but to a far greater extent than Chicago ever experienced. It might even be said that the greatest engineering challenge facing this city at the mouth of the Mississippi is to keep it from drowning. Additionally, the city has very weak conditions in its foundation, so much so that it has been described as the flattest, lowest, and geologically youngest of any major city in the United States. Average elevation is less than two feet above sea level and no surficial deposits are older than 2,500 years. About half of the urbanized area is at or below sea level. Floods on the Mississippi at times reach twenty feet above sea level and hurricane surges on Lake Pontchartrain to the north of the city have exceeded six feet above sea level. Rainfalls of ten inches within a period of twelve hours have been recorded on several occasions! It is rare to find a city whose unconsolidated foundations date within the period of human history. They belong to the Holocene Epoch and range in depth from fifteen feet to more than forty-five feet. New Orleans is about forty-five miles from the Gulf of Mexico and more than twice that distance from the mouth of the Mississippi. It is part of that river’s delta, a broad region of bayous and wetlands. Nowadays the main built up part of the city is free from marshes as a result of the extensive measures taken to drain or pump away the water. Both natural and built levees run east and west within the city between the Mississippi River and the Lake Pontchartrain that stretches northwards for more than twenty miles. Levees extend along both sides of the lower Mississippi for a total distance of 1,500 miles. Farther up the valley of the river these levees are quite high, as much as thirty-six feet with base widths of 360 feet, but those around the city area average only fifteen feet above the natural levee ridges on which they were built. Because the differences in elevation between the water level inside the levees and the lowest parts of the city are so big, there is a great need for a thoroughly dependable levee system. Fortunately, the natural levees overlie coarse-grained inorganic deposits and these are the best shallow foundation soils in the New Orleans area. In addition to the levees, there is a floodway through which water can be by passed during a river flood. As far as the city is concerned, hurricane-induced flooding can be just as catastrophic as a Mississippi flood. Rarely does a hurricane pass over the center of New Orleans but when it happens the devastation is widespread and costs are enormous. Flooding of populated areas is a certainty. The amount of advance warning is usually less than a day because, although its path can be traced for several days before it strikes land, its behavior as it approaches landfall is unpredictable. What can be done when flooding occurs? To move even a small percentage of the city’s population to safe ground out of town cannot be done in a day. The only practicable alternative is to evacuate vertically, that is move people to floors of homes or buildings that are above flood level. Diversion of water is the usual method of minimizing threats to the city. To the west is a large floodway beginning far upstream and continuing down the Atchafalaya Basin into the Gulf, affectionately named Old River Control Structure. Half of all the water in the Mississippi when it is at flood stage can be bypassed in this way. On the western outskirts of the city, on the main river, is another diversion, the Bonnet Carre Spillway. It can be opened to divert water from the river into Lake Pontchartrain. It is seldom used but is always available. There is a continuing concern about the stability of these protective measures because of the nature of the underlying sediments. During a major flood in 1973, for instance, part of the Atchafalaya was undermined and one wall failed. Because there is so much unconsolidated material everywhere in and around the city, compaction of these sediments from time to time is the major cause of subsidence. Land sinking, shoreline erosion, and salt water encroachment all are active and add to this problem of maintaining a consistent level of land. 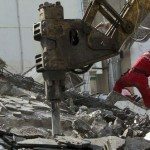 At times these forces cause sudden changes to buildings and facilities. Differential settlement, along with bank failures and flooding are the sorts of things that happen. If allowance is made for sea level variations, the general picture of subsidence rates is about seven inches a century. Local groundwater withdrawals further aggravate the situation. About one in ten homes and the same proportion of commercial buildings, plus one out of every three streets and sidewalks show signs of differential subsidence. Structures on the natural levees rarely are at risk but the large number built on organic swamp and marsh deposits stand on a very unstable base. Typical conditions include buckling of patios and exposure of foundation slabs. Driveways too subside to such an extent that it is impossible to drive into carports. Gas and water leaks occur as underground utility lines sag. The problem worsens with development as new impermeable coverings of streets, parking lots, and buildings lead to dewatering and compaction in the organic soils beneath and hence subsidence. When the first settlers occupied some high ground on the banks of the Mississippi almost three hundred years ago, there was little thought about the problems of growth but the risks gradually increased as the settlement expanded. Today the city continues to push its frontiers farther and farther into low-lying marshy tracts where building is possible only with the best of modern technology. Structures six hundred feet tall stand where formerly the ground could not support the weight of one person. Water levels, when the river is in flood, can be as high as twenty-seven feet above the lowest areas of the city. There seems to be great faith in the stability of the dikes, but those responsible for them are always on alert, especially when strong winds blow. Early building techniques used the natural levees. Crossed timber supports and masonry footings constituted the foundations. Later, piles were introduced for the bigger structures. These piles were driven down to the first sand stratum at a fairly shallow depth where sufficient resistance was encountered to indicate a safe foundation. In the late 1930s, one twenty-story hospital was constructed in this way, with piles that went down twenty feet, but within a year or two the building began to settle and before long it had to be abandoned. Unstable layers of deposits beneath the sandy foundation gave way. At that time there was little detailed knowledge of subsurface geology so no one knew about this weakness. Over time, thousands of borings to depths of 180 feet or more identified the nature of the underlying layers, not only the sand strata that seemed to be strong enough to hold up buildings but beyond that into the deeper Pleistocene deposits. When, in the late 1950s, a second hospital was built close to the site of the former failed one, over 2,000 piles were driven seventy-five feet into the ground, deep enough to reach the Pleistocene deposits even though the building had only nine stories. Some settlement of the ground was anticipated and construction plans took account of this. That building has stood well. The Pleistocene deposits are now the bedrock on which buildings need to rest. Where they are close to the surface pile lengths and numbers can be few. Even so there are deeper strata within the Pleistocene where compaction occurs if the load is great enough. The general rule now is this, the higher the building the deeper the piles. Both the number and type of concrete piles are other considerations. A 1968 building of forty-five stories had piles going down 150 feet, and a still more recent one, having fifty stories, used octagonal piles with diameters of twenty inches and depths of two hundred feet. In summary, the significance of Katrina in the history of the United States may best be seen when it is compared, as in the following list, with the deadliest and costliest U.S. natural disasters since 1900, even when that list is expanded to include the costs of the Nine Eleven Terrorist assaults. Katrina is estimated to be responsible for $75 billion (2005 U.S. dollars) in damages, making it the costliest hurricane in U.S. history. The storm killed at least 1,836 people, making it the deadliest U.S. hurricane since the 1928 Okeechobee hurricane. Criticism of the federal, state, and local government’s reaction to the storm was widespread and resulted in an investigation by the United States Congress and the resignation of FEMA head Michael Brown. A sequence of disruptions to communications because of this earthquake closed down business activities for a time in many parts of Asia and North America. The 2006 Taiwan earthquake of magnitude 7.1 occurred on December 26, 2006, with an epicenter fifteen miles off the southwest coast of Taiwan and fourteen miles deep in the South China Sea. It not only caused casualties and building damages, but also damaged several undersea cables, disrupting telecommunication services in various parts of Asia. It coincided in time with both the second anniversary of the 2004 Indian Ocean earthquake and tsunami that devastated the coastal communities across Southeast and South Asia and the third anniversary of the 2003 earthquake that devastated the southern Iranian city of Bam. News agencies reported collapsed houses in southern Taiwan along with buildings on fire, hotel guests trapped in elevators, and telephones out of operation due to severed lines. Two people were reported killed and forty-two injured. The earthquake was felt all over Taiwan, including the capital city of Taipei, three hundred miles north of the epicenter. Power was lost in 3,000 homes, but service was restored within a day. A nuclear power plant was affected by the severe shaking that followed the earthquake from aftershocks and emergency procedures were put in place immediately to prevent leakage of radiation. Residents in Hong Kong were so alarmed by the impact of the quake that they ran out into the streets in large numbers, fearing the collapse of their apartment buildings. Reaction was similar in Macau except that residents there thought the earthquake had occurred in Macau. In Mainland China the earthquake was felt in the provinces of Guangdong and Fujian but there were no reports of major damage. Perhaps the coincidence of the earthquake’s timing with the devastating events in Sumatra in 2004 made Taiwanese authorities particularly sensitive to the dangers from tsunamis. A tsunami warning was issued at once, informing Philippine authorities that a ten-foot-high tsunami was heading toward them. No tsunami wave from Taiwan was subsequently recorded anywhere. The Pacific Tsunami Warning Center in Hawaii announced that there was no threat of a region-wide tsunami. The damage that caught everyone’s attention was the disruption of undersea cable connections to many places in Asia. Taiwan’s biggest telecom provider, Chunghwa Telecom Company, reported that it had lost 98 percent of its links with Malaysia, Singapore, Thailand, and Hong Kong, and added that repairs would take up to three weeks. Japanese operators also reported trouble. Taiwan lies in one of the most earthquake-prone regions of the world. 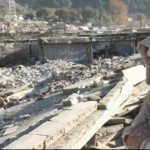 As recently as September 21, 1999 another earthquake measuring 7.6 on the Richter Scale struck it and killed more than 2,000 people in northern and central regions. Both the initial quake and the first aftershock from the 2006 quake were felt throughout Taiwan. A reporter’s hotel room swayed in Taipei and the building creaked for fifteen seconds. Many streets in the city were cracked and a major bridge was damaged. Several fires broke out, apparently caused by downed electric power lines. Many buildings in Taipei swayed and knocked objects off the shelves. In several southern cities power was cut off, hindering reports of damage from residents. At one hotel the shaking was so violent that many guests panicked and ran out of their rooms and into the streets. Taiwanese television stations showed rescuers using power equipment to dig through the remains of an offshore aging beach resort that had collapsed and trapped eight inside it. The main story, however, remained the destruction of Asia-wide communications and the associated reality that since there were only a limited number of cable repair ships, it would take at least weeks to fish up the undersea cables and repair them. China Telecommunications Group said its connections with the United States and Europe had been broken. Internet connections had been cut off, and phone links and dedicated business lines had also been cut. As a result, Chinese access services were reduced for some days to the slow pace of land telephone lines and currency trading was stopped. China and South Korea lost their connections with the rest of the world because of this earthquake and many people in North America took note, at the time, of the sudden drop in the numbers of spam messages that were arriving. While spam messages come to North America from all over the world it became clear that a big part of that world of unwelcome communications comes from China and South Korea. One large network in North America saw its mail from Korea drop by 90 percent and from China by 99 percent. This earthquake became a reminder to the world of the fragility of telecom cables. The destruction of distance that is attributed to the Internet may still be more of a dream than a reality. So widespread was the loss of communications with the rest of the world on the part of Asian countries due to this one earthquake that the demand quickly arose for alternative connections. With such large expanses of water separating countries around the Pacific Rim, the region will need to come up with more innovative and robust backup plans. After the tsunami of December 26, 2004, satellite communication was the solid backup for voice communication. But this service might be too small to handle high-speed Internet traffic. In the process we can learn more about the Internet when it’s not working than when it is.